We offer the best of the best when it comes to safe rooms & storm shelters. They are the heaviest storm shelters on the market in Oklahoma and come with the “extras” at no cost to you – powder coating and a stamped design. Our manufacturer has added another extra feature* – also, at no cost to you – Epro. Epro is a water resistant coating that is rolled onto the bottoms of our storm shelters for extra protection against moisture. It dries as a rubber-like material to create the barrier between your storm shelter and moisture in the ground. *Epro is applied to the bottoms of below ground concrete storm shelters only. This does not apply to above ground safe rooms. 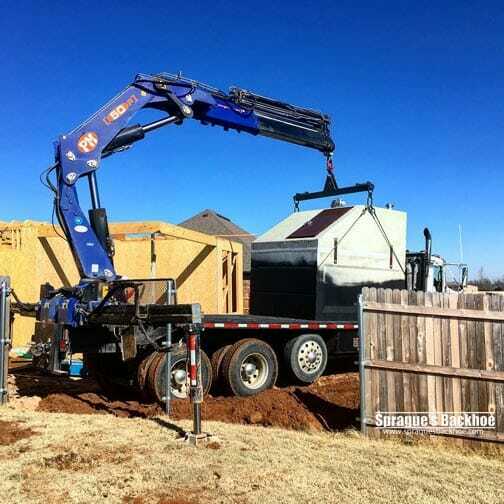 Shop storm shelters now or contact us today to schedule your storm shelter installation.